This week’s raw Tuesday take-away took some old favourites and made raw versions. 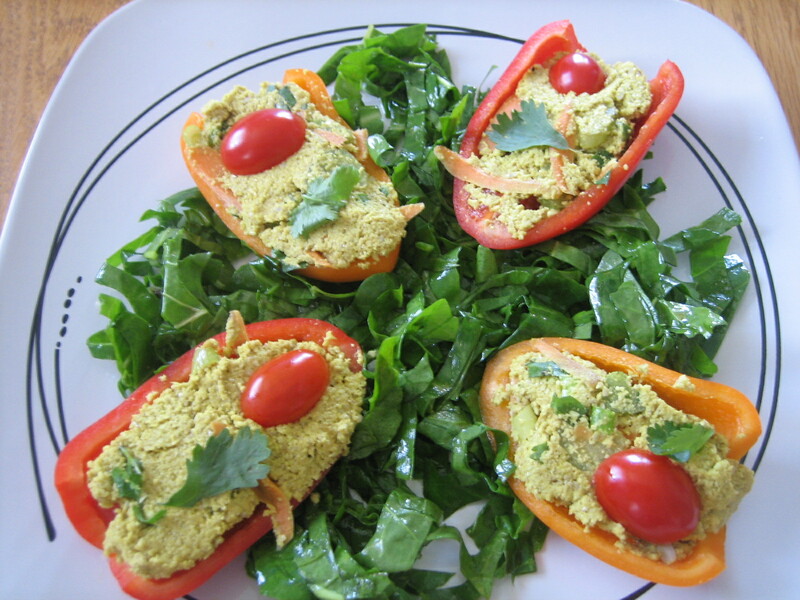 For the stuffed peppers, we used baby bell peppers and filled them with Ani Phyo’s Love the Chick’s Paté and some fresh veggies. The book is reviewed on the resources page, here (you can also order it online from these links). For dessert, raw chocolate brownies. Simple, rich, delicious. For those based in the Joburg area, especially those of you who have ordered before, please feel free to send me requests– these can be any kind of food, raw or cooked, that you enjoy. I will do my best to create healthy raw versions and include them in future take-away menus. Instructions: Halve the baby peppers, removing seeds and veins. This recipe is so easy, it seems silly to even print it. Yet the results are amazing. Instructions: Process walnuts in food processor until finely ground. Add cacao and process until mixed. Add dates and salt and process until mixture holds together. 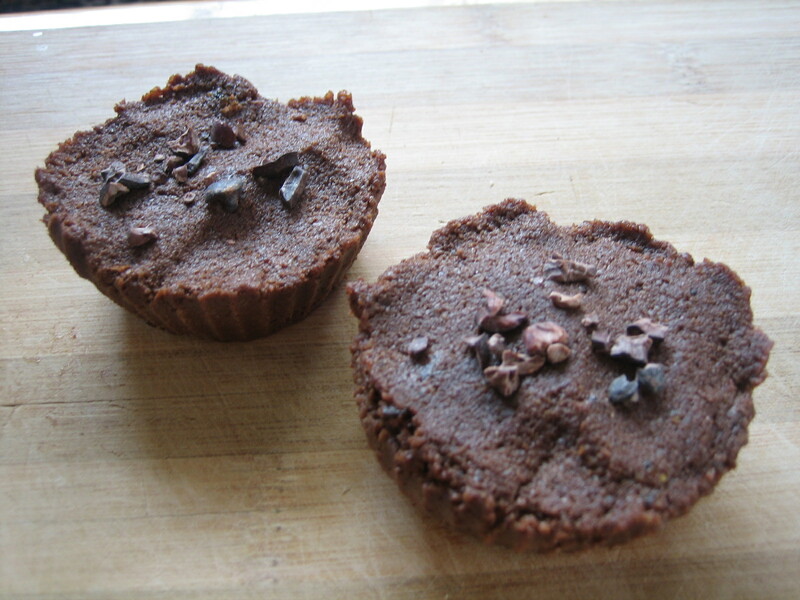 Press mixture into a small pan, or into individual silicone muffin cups, and let set in refrigerator for at least 1 hour. This entry was posted in desserts, main course, Raw Food, recipes, take-aways and tagged johannesburg, raw chocolate brownie, raw food recipes, raw stuffed peppers. Bookmark the permalink.